Being early means no lines! Yesterday Sean and myself head down to the North Carolina Grill in LKF for Cru Magazine's first anniversary wine tasting. From 3-6 was industry only which is always fun! I find I learn a lot at these events, make some good connections, and usually walk out well fed and boozed. It's fun working in wine! Cheers! To many many more, Cru! The event was a blast. 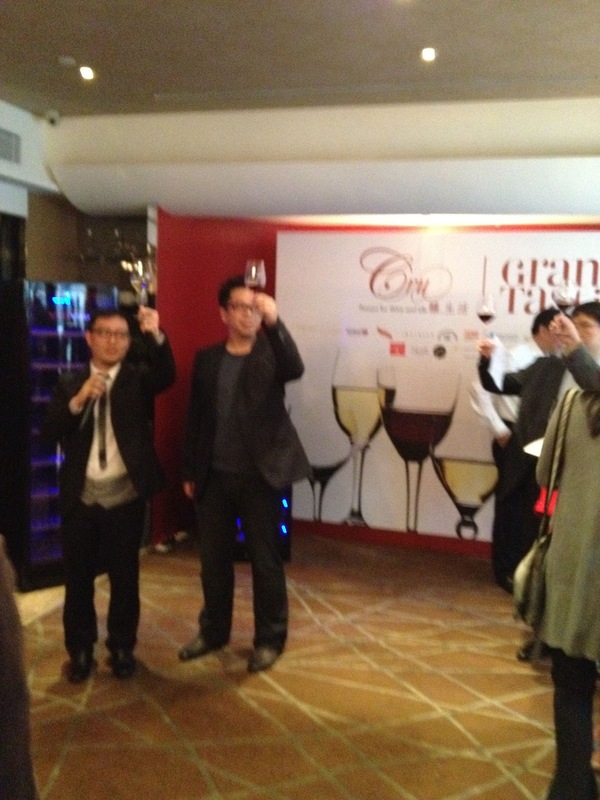 There were a bunch of wine distributors there, well, distributing wines. I was surprised by the amount of vendors with Reislings. When I was back in the states over Christmas, the wine guy for my local paper said 2012 was all about the Reislings. I've alway enjoyed a dry one, but it's not that common to see over here, and when you do bottles are generally at the $400 mark. 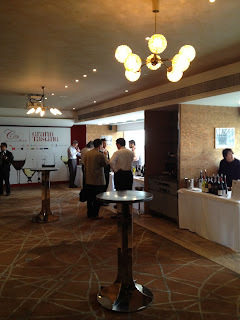 I was also surprised by the variety of wines. There were Portuguese, Spanish, South African, Chilean, Argentinian, French, German, New Zealand, Australian, Italian and I'm sure a bunch more I'm forgetting! All in all a wonderful evening of industry bonding, wine sipping, and general merriment. Salud!